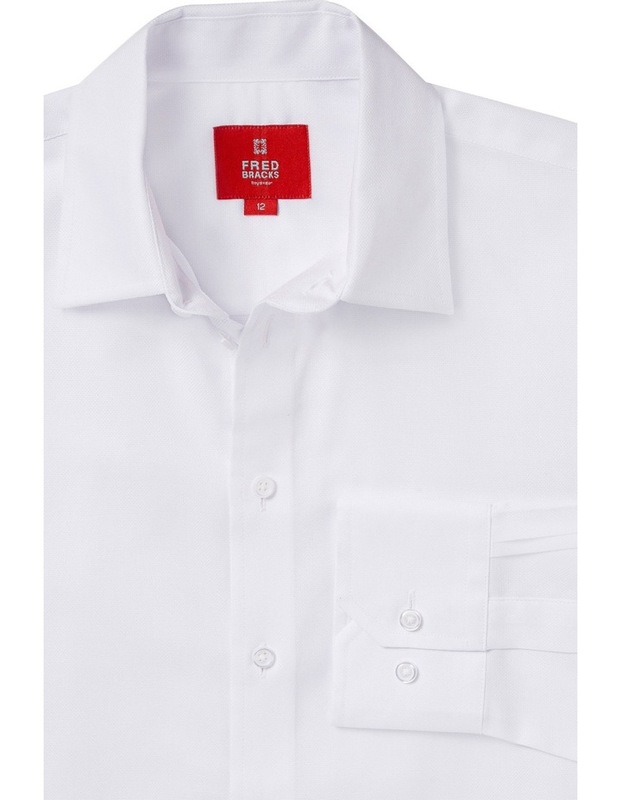 Fred Bracks Senior boys shirt in white. 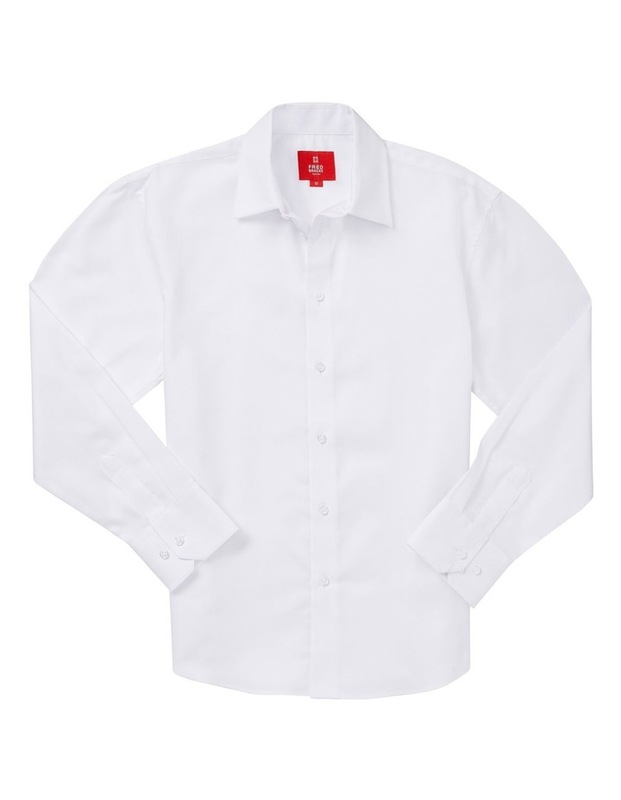 This smart dress shirt features button closure on front, and two buttons on cuffs. Fabrication: 60% cotton, 40% polyester. Care Instructions: Wash separately before use. Warm machine wash on medium cycle. Warm rinse well. Normal spin. Do not bleach. Do not tumble dry. Warm iron. Drycleanable.